See more of Greenland this summer! From sled dogs and Inuit culture to glaciers and the midnight sun, this amazing tour in West Greenland has it all! Along with a four-day cruise and guided walking tours in remote villages, this tour also gives you plenty of free time to explore on your own or to enjoy an array of exciting optional activities such as helicopter tours and sea angling. As you journey along the coast, you will sail past spectacular icebergs, meet friendly locals, get a taste of Arctic cuisine, and much more! Depart from Reykjavik Domestic Airport for a short flight to the charming Arctic village of Ilulissat (Jakobshavn), beautifully situated at the mouth of the 56 kilometre-long Ilulissat Icefjord, a UNESCO World Heritage site. After settling in and spending some leisure time in the village, enjoy a delicious welcome dinner at Hotel Arctic prepared by award-winning chefs (dinner included). Spend the night at Hotel Arctic. The first part of the day is free for you to explore Ilulissat as you please or you could choose to join an optional excursion. 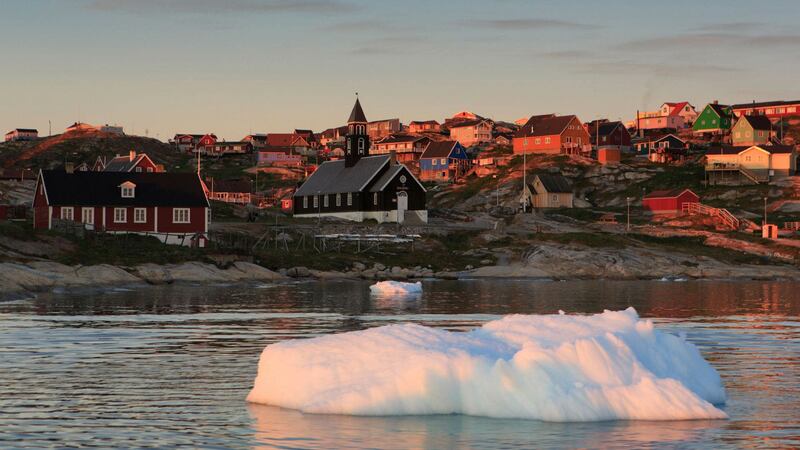 In the afternoon, board a passenger ship for your 4-day southbound voyage along Greenland’s rugged west coast. As the ship pulls away from the harbour in Ilulissat, you will pass huge icebergs at the mouth of the Icefjord, with possible sightings of Humpback whales along the way. Later in the evening, enjoy a short stop at the village of Aasiaat. Spend the next three nights on board the ship in a cabin with private facilities. The voyage continues with a mid-morning call at Sisimiut, Greenland’s second largest town with 5,500 inhabitants and over 1,000 sled dogs! Here, you have some time for a museum visit or a stroll around the old part of town. This is also an ideal place to spot whales and seals as the fjords around Sisimiut are among the deepest in Greenland. Later in the evening, the ship makes a short stop in Maniitsoq (“the rugged place” in Greenlandic), where you can see deep, narrow fjords and some of the highest mountains in West Greenland. 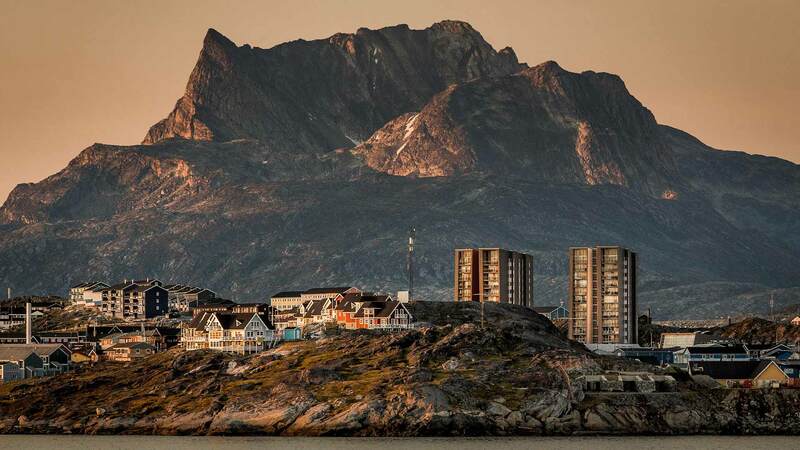 Sailing south, the ship calls early in the morning at Nuuk, Greenland’s capital. Here, take some time to stroll around the city for some insights into the culture and way of life in the world’s smallest capital city. Early in the morning, the ship makes a short stop at the town of Paamiut. As the voyage nears its final destination, the ship sails through the South Greenland archipelago, where lush valleys meet floating sea ice. In the evening, the ship will dock in Narsaq. Spend the next two nights in Narsaq. You have the next two days to explore your surroundings as you wish or enjoy some optional activities, like guided nature walks or boat tours. Enjoy another free day to explore your surroundings and optional activities (as mentioned in the previous day). In the evening, relax at your accommodation before enjoying an included dinner. Spend the night at Hotel Narsarsuaq. After breakfast, you will depart from Narsarsuaq Airport to Reykjavík. Please note: flights can also be arranged from Copenhagen, Denmark on departure and/or on return. For more information about tour origin and flights, please contact us. My husband and I have travelled to over 40 countries mostly self planned but some with booking assistance and a few tours. We found the services of Nordic Visitor beyond our expectation. The thoroughness and quality of service was the finest we have ever encountered. We received the ease of having our essential needs planned with the freedom to personally choose our activities along the way. Quality, efficiency, reliability -- words that apply to Nordic Visitor. The accommodation was always good, breakfasts were excellent, I was very happy with the overall package and felt I got very good value for money. It was a fabulous experience and loved everything about Greenland, especially the Ilussiat Ice Fiord and sailing among the icebergs at midnight. The local people were very friendly and welcoming. The helicopter ride to the Ilulissat glacier was also a highlight and standing on the ice cap by the glacier was an unforgettable experience. Standard rooms with private shower and WC, TV, hairdryer, telephone, armchair seating area, and coffee or tea making facilities at..
Guaranteed departures from Reykjavík every Saturday from 8th of June - 17th of August. Advanced booking of at least four weeks prior to departure is recommended due to the limited availability of airfare and accommodation in summer. Booking early allows us to better accommodate your desired arrangements. This tour can be customized to meet your needs, including additional nights in Reykjavik and/or Greenland on request. We can also arrange accommodation in Reykjavik or combine other Iceland packages with this tour. 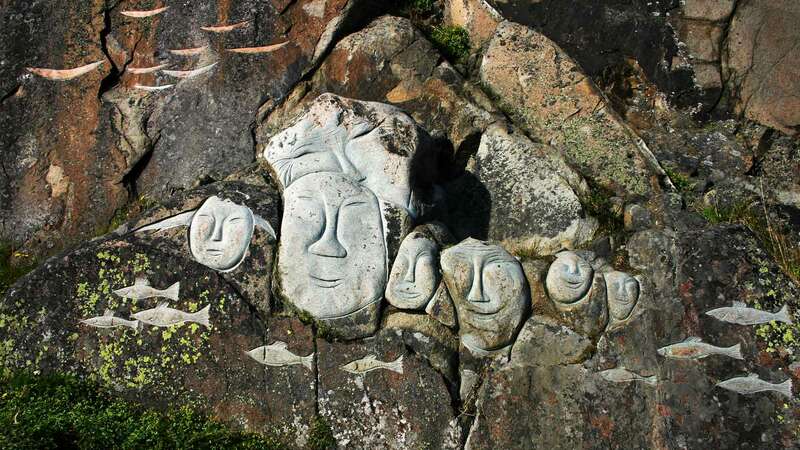 This tour originates in Iceland so it includes roundtrip airfare to/from Reykjavik. If you prefer, flights can be arranged from Copenhagen, Denmark on departure and/or on return. 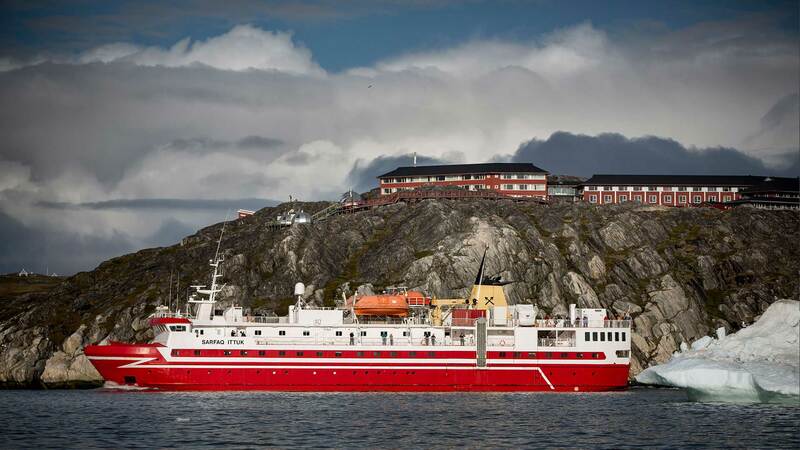 Please note: for tours originating in Denmark, the tour departures are Thursdays and two extra days will be added in Ilulissat before the voyage. For further information about tour origin and flights, please contact us. • Due to flight times between Greenland and Iceland or Denmark, passengers may need to spend a night before departure and/or a night upon return in Reykjavik or Copenhagen. 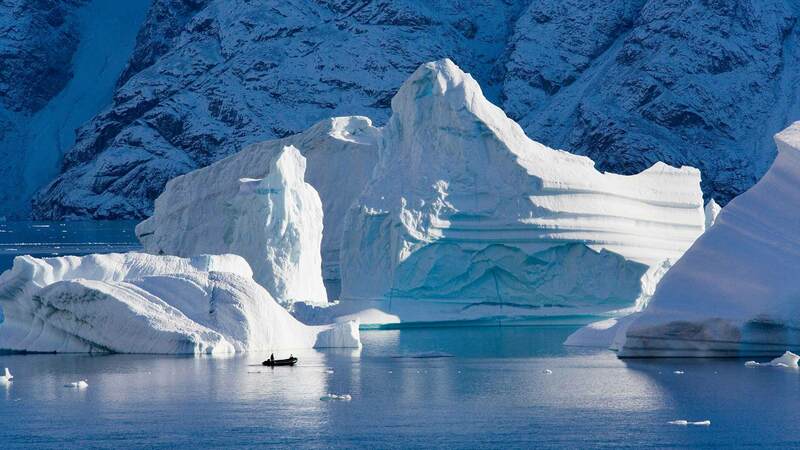 • The summer climate in Greenland is generally mild and dry with average temperatures of 5 -7° Celsius. However, Arctic conditions in Greenland can cause sudden weather changes so it is recommended to bring warm, weather-proof outerwear, thermal layers, and good walking boots. It is also ideal to bring a mosquito net or mosquito repellent and sunglasses. • The itinerary can change without notice due to weather conditions. • The currency in Greenland is Danish Krona (DKK). Credit cards are not widely accepted, thus we recommend bringing some Danish currency or a debit card (bank card) with a 4-digit PIN number for cash withdrawals at ATM machines. • Optional Upgrade to a suite at Hotel Arctic; contact our Travel Consultants. 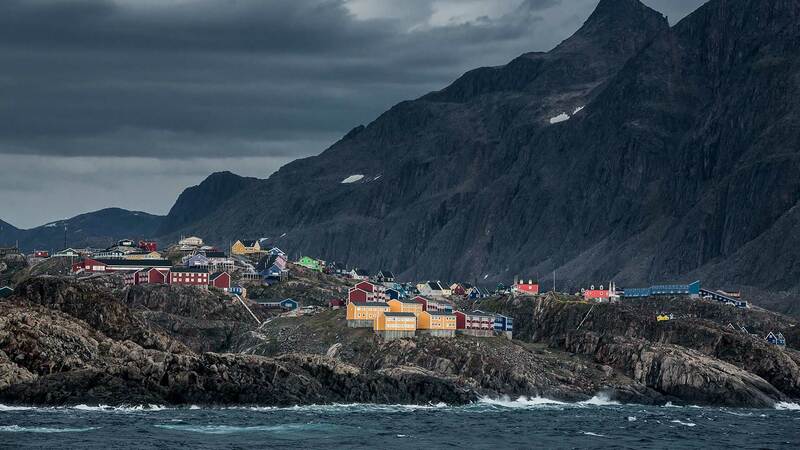 • See our Travel Guide for more information about weather conditions, what to pack, currency and other practical information about travelling in Greenland. • This is no ordinary cruise! The passenger ship used in this coastal voyage also serves as a standard mode of transportation between villages for the locals, giving you a wonderful opportunity to meet Greenlanders. • The on-board amenities and accommodations, though comfortable and pleasant, are more basic than what you would expect on a conventional cruise ship. • There is no tour guide during the coastal voyage. However, special information will be provided by a local representative in Ilulissat the day before the voyage and a tour guide will be at your service when the voyage disembarks at Narsaq. • Please also note that the ship‘s services cannot accept credit or debit cards. Therefore, please make sure to have plenty of Danish Kroner on hand before embarking at Ilulissat. The local representative in Ilulissat will be able to give you a good estimate of how much cash to bring on board.